In 1986, Trendzitions was founded with the purpose of assisting companies with the process of planning their real estate facilities. Since then, Trendzitions has integrated three resources to help businesses thrive: Trendzitions, Inc., Chris Tooker Training, and Tooker Vacation Properties. 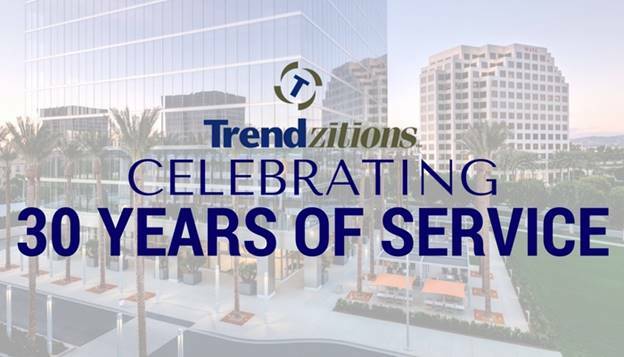 Trendzitions is a trusted planner for new facilities that manages all aspects of business transitions from new facility projects, construction management, technology consulting, facility remodel, and relocation management. For more information, visit www.trendzitions.com.